Finally . . . This is the Droid You're Looking For! There's fandom, and then there's Star Wars™ fandom. With a worldwide population numbering in the millions, those that follow the continuing saga between the Jedi and the Sith range from the casual to the fully dedicated. And within that community, there are those that love one droid in particular. Waist-high, blue, white and chrome, he never says a word yet conveys a world of emotion through just a few bleeps and whistles. According to George Lucas, he has to save the day at least once a movie, and he hasn't let us down yet. He's the astromech that can't be resisted - R2-D2! If you're one of his fans, you're in luck! 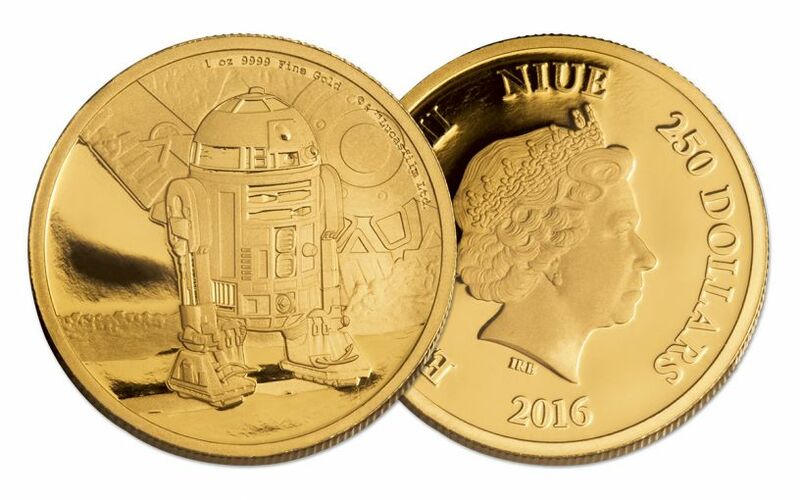 R2-D2 will be the subject of the fourth in a series of Star Wars gold coins to be released throughout 2016 and 2017 by Lucasfilm Ltd. and the New Zealand Mint. 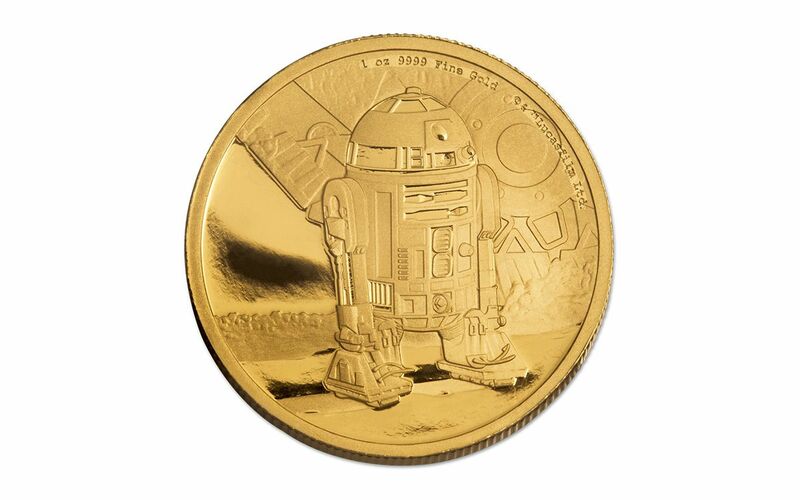 Struck in 99.99% pure gold, this one-ounce proof coin depicts R2-D2 moments into his first outing in the original 1977 film. Just after he is recovered and sold to Luke Skywalker's family, R2-D2 shows a message from Princess Leia pleading for Obi-Wan Kenobi's help. With Luke's help, he brings her in touch with her only hope and, in the process, starts his own journey to become a heroic Jedi Master. Using gold as a canvas, the scene is reconstructed in intricate detail, offset by a mirror effect that comes from the use of selected gold planchets and specially manufacture polished dies. More than just a commemorative Proof, it's also a legal tender coin for the Pacific island country of Niue. 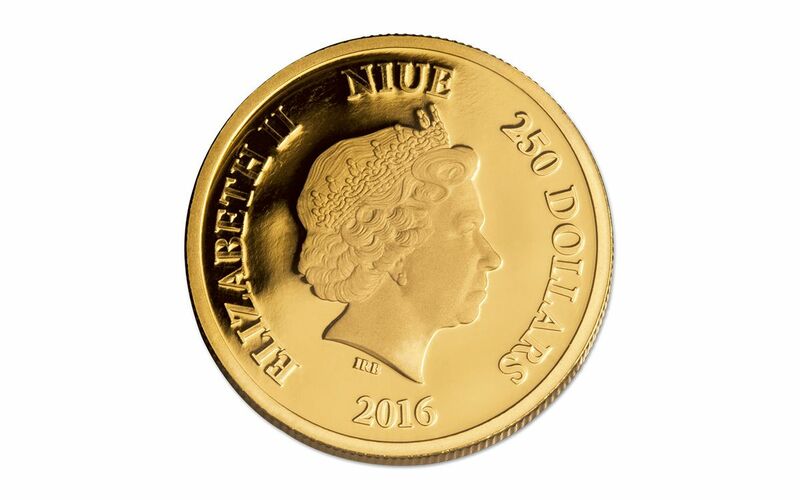 The other side of the coin shows a portrait of Her Majesty, Queen Elizabeth along with the official denomination of $250 Niue. At GovMint.com, we only have a select number of this limited edition series. Both Star Wars fans and coin collectors will want in on this release, and it looks like supply won't keep up with demand for long. Get this unique and lasting symbol of Star Wars history for your collection now while you still can! © Disney Produced in cooperation with S&A Partners, an official licensee of Lucasfilm. © & ™Lucasfilm Ltd.